Long term cooperation with makers of marine equipments and marine spare parts and experience in this field have refined our operation to save you time in finding proper marine spare parts suppliers for: main engines, auxiliary engines, air compressors, purifiers, sewage plants, oil supply units, turbochargers, boilers, heat exchangers, pumps and lifesaving equipment. Your orders for special size equipments are also welcomed. Please contact us with your detailed marine spare parts or equipments request. We will be pleased to discuss further with you and reply promptly and professionally with quotation for your study. Marine spare parts are directly from makers to ensure quality and compatibility. In addition we are now in position to offer you compatible quality replacement spare parts for some separators at competitive prices. 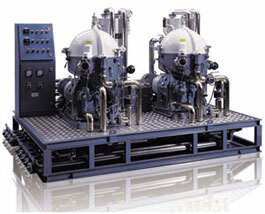 Evernew Marine is your prime source for all marine spare parts and technical services. Boasting eight years of experience, Evernew Marine uses their knowledge to find and offer only the best quality parts for their clients. The company utilizes their partnership with known marine engine spare parts suppliers to provide numerous quality components. Based in Shanghai, Evernew Marine offers their business as a one-stop shop for all seeking various marine diesel parts supply. Contact us today at +86 21 5107 8032, or email us, and we’ll get back to you shortly! From complete marine engines to generators, purifiers, sewage plants, oil supply units, turbochargers and lifesaving equipment, at Evernew Marine we offer it all and much more. With high quality products and timely deliveries, we have established ourselves as leading marine spare parts suppliers around the world. If you are looking for marine spare parts online, look no further. Get in touch with us today.